DPD Justine Esack (second from left) sought out Project RESTORE for help on a case with a successful outcome. RESTORE’s founders are Head Deputy Mitch Bruckner (left), Social Worker Manager Tracie Jones and DPD Nancy Richards-Chand. High on methamphetamines, the man in his 50s exchanged heated words with his neighbors, then drove his car toward the couple. But that’s not where the client’s story began. No one was hurt. The man said he was just trying to exit the carport. Charged with assault with a deadly weapon and three strikes, he faced 10 years in prison. Assigned the case, Justine Esack contacted Project RESTORE. Founded by Social Worker Manager Tracie Jones, Deputy Public Defender Nancy Richards-Chand and Head Deputy Mitch Bruckner, Project RESTORE is instituting a more restorative model into the criminal justice system. The so far 12-member LA County Public Defender team is integrating existing public health services into the system and working with justice partners to shift the current paradigm from incarceration to restoration. Their target group is the most vulnerable clients whose underlying criminality is based on Substance Use Disorder (SUD), mental illness, acute trauma and/or other disabilities or adverse circumstances that contributed to their conduct. The project provides support to lawyers in difficult jurisdictions, insisting that prison should not be mandatory based on zip code. Esack’s case was in the San Fernando Branch Office. The team immediately called in psychiatric social workers to draw out the narrative for Esack’s client. As it turned out, the man’s story began after he was severely beaten during a robbery while walking down the street in 2014, per his family, who believe he has not been the same since. Project RESTORE helped Esack obtain records indicating that her client may have suffered traumatic brain injury, coupled with the effects of chronic drug usage. Project RESTORE members also suggested Olive Vista Behavioral Health Center, a mental health facility, for the client. But the DA’s Office would not consider a treatment center in lieu of prison. The client’s issues arose from his abuse of alcohol and drugs over many years, they said. Further, the brain injury came out inconclusive. Undeterred, Project RESTORE connected the DA’s Office with Olive Vista to clarify the treatment plan for the client and educate the DA that treatment is often the better, safer plan for the client and the community. The client ultimately pled to one strike for probation and a year in Olive Vista instead of ten years in prison and three strikes. But Esack’s reaching out is not yet commonplace. Part of the challenge of changing the paradigm for the Public Defender’s Office. “When you come across complex mental illness, it doesn’t come with neon, flashing lights,” Bruckner said. “I can’t tell you how many times in the course of my career that I’ve dealt with mental illness — an expertise of the social workers. Project RESTORE is also embedding Client Engagement Navigating Services (CENS) in some courthouses through the Department of Public Health and nonprofits. The CENS navigator interviews clients and locates evidence-based Substance Use Disorder and Co-Occurring Disorder programs for their attorneys to propose as an alternative to prison. A key part of Project RESTORE is establishing collaborative relationships with prosecutors, sheriffs, probation officers, mental health staff and other county entities. “We’ve met with the DA’s chain of command and we’ve brought people with us to those meetings to describe the resources that are available for clients,” Richards-Chand said. Bruckner added that just that morning they met with a psychiatrist from Twin Towers. 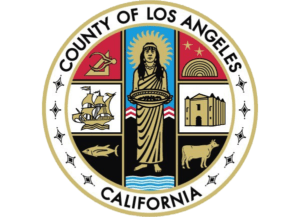 The County Scroll given to Project RESTORE by the LA County Board of Supervisors in October gave the project an extra boost. The group added that there are some hurdles that must be overcome before RESTORE can find success. “One of them is that there is this stubborn belief among some lawyers that ‘I’m not a social worker, I didn’t go to law school to do social work. I’m a litigator,’ ” Bruckner said. Reduce involvement with the justice system among vulnerable populations. Engage our attorneys and justice partners in projects that assist and positively benefit all of our clients. Support our attorneys and clients in assessing and preparing the cases for treatment alternatives to incarceration. Train our attorneys and justice partners to ensure that our clients are provided with evidence-based high-quality services. Offer client-centered alternatives to custody that will RESTORE our clients to health by treating them as whole individuals. Rally our attorneys to be bold and creative in their demands for justice for our clients. Educate within and outside of our office regarding the options of treatment alternatives and the increase in public safety and cost savings of these alternatives. 1) Deputy Public Defender Justine Esack (second from left) sought out Project RESTORE for help on a case with a successful outcome. RESTORE’s founders are Head Deputy Mitch Bruckner (left), Social Worker Manager Tracie Jones and DPD Nancy Richards-Chand. 2) Project RESTORE members during meeting at the Clara Shortridge Foltz Criminal Justice Center.